Asian markets were mixed in Wednesday afternoon trade, as investors await the start of U.S.-China trade talks later in the day stateside. Mainland Chinese markets recovered by the end of the morning session following declines earlier. 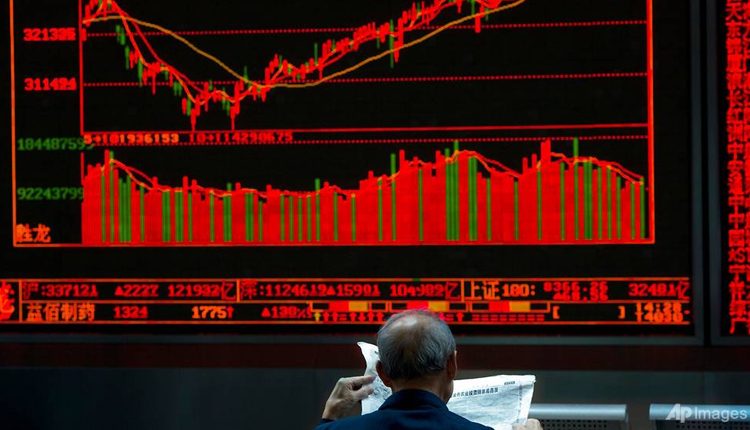 The Shanghai composite was slightly higher while the Shenzhen component rose 0.231 percent. The Shenzhen composite also saw marginal gains. Hong Kong’s Hang Seng index advanced 0.29 percent with shares despite shares of Chinese tech giant Tencent declining 0.12 percent. Japan’s Nikkei 225 slipped 0.28 percent in afternoon trade while the Topix fell 0.17 percent. South Korea’s Kospi advanced about 0.7 percent as shares of LG Display dropped more than 4.1 percent after the company said its panel shipments for the first quarter were expected to decrease due to seasonally weak demand. Australia’s ASX 200 traded largely flat as the materials subindex rose about 1.7 percent, with shares of Australia’s major miners gaining. Rio Tinto jumped 3.8 percent, Fortescue Metals Group soared 7.16 percent and BHP Billiton advanced 1.96 percent. The moves Down Under came after the country’s headline consumer price index rose above expectations, though core inflation remained below the central bank’s target. Following the data release, the Australian dollar was at $0.7195 after seeing an earlier low of $0.7147. Investors are watching out for developments on the U.S.-China trade front, with high level negotiations set to begin later stateside. “Today could be a crucial day for financial markets with the US-China trade discussions set to open in Washington and then the FOMC delivering it’s latest rate announcement and statement.” Rakuten Securities Australia said in a note. “Investors are hoping for a positive outcome from the talks and Steven Mnuchin lifted some players hopes by declaring that ‘Everything is on the table’ and that the US could lift tariffs on China, however once again the market will be looking for solid progress before a real rally can take place, ” the note said. Chinese Vice Premier Liu He is set to meet U.S. officials on Wednesday and Thursday, hot on the heels of Washington leveling sweeping charges against Beijing’s telecommunications giant Huawei. Market participants fear the jolt to Huawei could undermine the chances of the world’s two largest economies reaching a comprehensive trade deal. White House economic advisor Larry Kudlow said Tuesday, however, that President Donald Trump is “moderately optimistic” about China and the U.S. striking a deal before a March 1 deadline. Cook’s comments came after the tech behemoth reported earnings which were largely in line with expectations. Meanwhile, the U.S. Federal Reserve is set to announce its monetary policy decision following a two day meeting of the Federal Open Market Committee. Market expectations for a rate hike being announced Wednesday afternoon stateside are close to zero, according to the CME Group’s FedWatch tool. “Trade uncertainty is playing a role in the Fed’s decision to pause interest rate rises for the moment. We expect the Fed to confirm an interim pause at its meeting tomorrow,” he added. The U.S. dollar index, which tracks the greenback against a basket of its peers, was at 95.788 after seeing lows around 95.6 yesterday. The Japanese yen, viewed as a safe-haven currency, traded at 109.36 against the dollar after seeing an earlier low of 109.44. Oil prices were higher in the afternoon of Asian trading hours. The international benchmark Brent crude futures contract rose 0.54 percent to $61.65 per barrel. U.S. crude futures gained 0.36 percent to $53.50 per barrel.